Missions are fun, tangible activities we provide to Earth Rangers Members throughout the year that demonstrate the collective impact of working together towards a common goal. As with all of our programs, Missions always relate back to protecting animals. This includes activities you can do at home and in the community, like recycling batteries, organizing shoreline clean-ups and planting pollinator gardens. Our members complete more than 50,000 Missions every year, making a significant and positive impact on the environment and their local community. 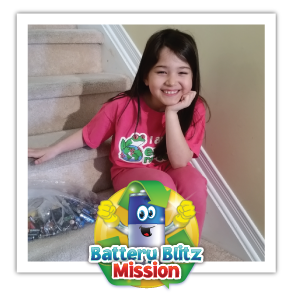 Earth Ranger Abella and her mom asked their neighbours, friends and family to donate used batteries to recycle for the Battery Blitz Mission! 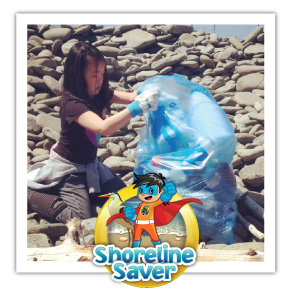 For Shoreline Saver, Earth Ranger Keely and her brother’s classmates organized a 3-hour long clean up at a beach in New Brunswick. They collected truck loads of debris and garbage from the Seawall! Designed to be completed with the help of family and friends, participating in a Mission together is a great way to support the Earth Ranger in your life! To accept a Mission, members log into their account at EarthRangers.com and select the Mission they’d like to complete. Once the Mission is completed, they receive a virtual badge for their Achievement Wall.